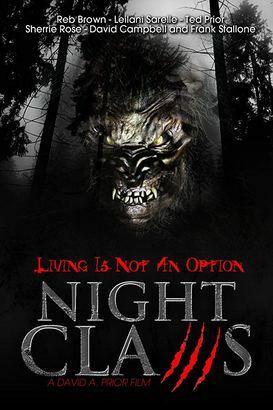 A small town is being terrorized by a killer Bigfoot. One that is blood thirsty, vicious and kills without warning and without discrimination. A scientist by the name of Sarah Evans (Leilani Sarelle) shows up to help the town's sheriff (Reb Brown) and his deputy girlfriend Roberta (Sherrie Rose) hunt this thing down and put an end to the killings. At the same time, Hunter Crawford (David Campbell) is a thug-like character who along with his two henchmen, is hunting the creature himself, for his own personal gain and he does not care who he has to go through to accomplish this. Enter Charlie Parker (Ted Prior) a tough east coast type who is on a survivalist camping trip, led by the seasoned survivalist Sharon Farmer (Tara Sanford Kleinpeter) at the behest of his young trophy wife (Alissa Koenig) and whom, by no fault of his own, winds up being used as bait for the creature, by Hunter. But there is more at work here than meets the eye. A sinister plot is afoot and at its center is the vengeful Mister Testi (Frank Stallone). And in the end this plot takes a twist that no one will expect.